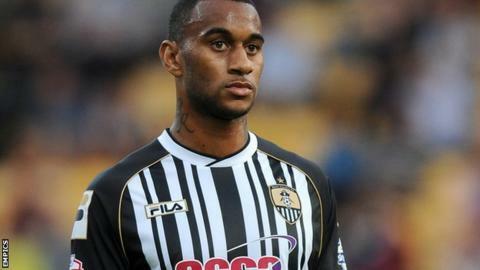 League One bottom club Crewe Alexandra have signed Notts County striker Danny Haynes on a month's emergency loan. The experienced 26-year-old front-man is expected to go straight into the Alex squad for Tuesday night's home date with Peterborough United. Haynes' arrival follows the signing of fellow forward Febian Brandy from Championship side Rotherham for a further month's loan extension. The Alex have the joint-worst scoring record in League One. Saturday's late winner at Walsall was only their 11th goal in 13 matches this season, in stark contrast to their defensive record. Their goals-against total of 30 is the worst in the Football League. Former Ipswich Town, Millwall, Bristol City, Barnsley, Charlton Athletic and Hibernian striker Haynes has made two Notts appearances this season, having had his pre-season disrupted because of injury.